The first six chapters of Mark’s Gospel overflow with stories of people drawing near to Jesus, longing to experience firsthand the touch of the Savior. Over and over, Jesus responded with compassion, interacting on a personal level with individuals who had been cast aside by society, their circumstances deemed beyond hope. 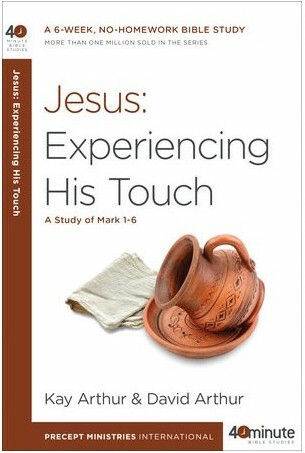 As you delve into their stories in this powerful study–the first in a three-part study of the Gospel of Mark, you’ll discover for yourself the difference it makes when you engage with Jesus personally and experience His touch in your life.